Incredible as it must seem to some, quite a few families and individuals have agreed to give up all or part of their privacy and permit a film crew to record their every act. Therefore, the premise of this send-up of "reality television" is not so far-fetched as might be supposed. 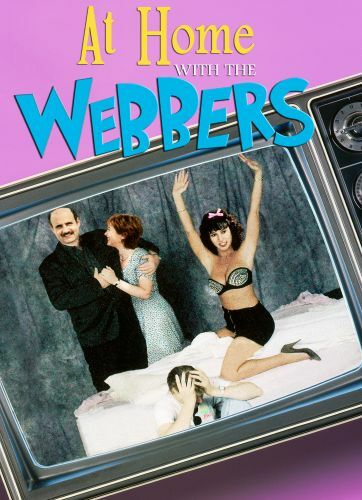 In the story, a ratings-hungry television executive (Robby Benson) persuades the Webber family to become subject to this sort of intrusion, in return for lots of money and the opportunity to live in a really fancy mansion. The star of the resulting show is the family's nubile and sexually active daughter (Jennifer Tilly), who takes casts of each of her dates' better body parts in hopes of one day putting together a model of her ideal man. The highly intellectual father in the family is a psychiatrist (Jeffrey Tambor) with some very strange patients, some of whom have agreed to appear on camera as well. The mom (Rita Taggert) becomes a popular role model, even though she feels neglected by the rest of the family, and especially her husband, and the son (David Arquette) just moons around, in mourning for his recently dead girlfriend.